The insider had the wrong read on the shot, though: Hitchcock blonde she might be, but Kelly is no passive supporting actress. The heat of the segment came not from Kelly’s gams, but from her willingness—not for the first time that night—to seize control of what was an embarrassing situation, and turn it into compelling television. Kelly hasn’t just succeeded at her job for being smart and telegenic (though she’s both), she’s done well because she cares more about what’s good for Fox than what’s good for the Republican party. The two fates aren’t as closely aligned as many at the network seemed to think the other night. It’s a lesson Kelly seemed to have internalized, and was very much on display on Tuesday night. As Rove ran through a barrage of stats, she asked him to repeat himself, since her ‘lil blonde self just wasn’t great with numbers. The effect was that he did so for the viewers at home, who might actually have needed him to slow down: Kelly knows when ignorance is a smart broadcast decision. When she was asked on election night to take a turn at filling in an imaginary electoral map, full of ways the vote count might break for Romney in the unlikely case of the Cuyahoga River turning from water to wine and other miracles raining down from heaven, she faux-ditzily demurred for a moment, pretending as if she didn’t know how to work the equipment. Clearly, she was devoting her spare mental-arithmetic to imagining precisely how bad participating in Fox’s numerical magical thinking would make her look. Kelly rarely truly plays the ingénue, though. She was the first to quickly and sharply sound the alarm last summer when Fox (among other networks) erroneously interpreted the Supreme Court’s decision on health care. Election night, she interrupted Rove as he began one of his flights of speculation early on in the evening. “Is this just math that you do as a Republican to make yourself feel better or is this real?" She was anchoring, not cheerleading. Of course, Kelly rose to prominence for saying the kinds of things that make liberal Fox viewers (not quite so dodo-rare as you might think—anyone who watches “The Daily Show” ends up with more than a working knowledge of Fox) scream, “Is this real?” She famously referred to the pepper spray that police used on Occupy Wall Streeters as just a “food product.” She waged a war against the New Black Panther party so prolonged that even fellow Fox contributors found it unseemly. And she is a master of turning straight news into something a little more skewed, simply by the insertion of a disgusted note into her voice (try it at home on a word like, say, entitlements). The two tangled most prominently over maternity leave; after she’d taken hers, she became a newfound champion of gender equality in the Family and Medical Leave Act. (Incidentally, Kelly refuses to call herself a feminist, on the usual right-wing grounds that she’s not shrill or unfeminine.) Stewart called her out for hypocrisy and self-interestedness. He was right, but he was missing the point. “It’s not political,” she told GQ of her decisions about what to cover. “Television is a service, but it's also a business. And in choosing what you’re going to put on your program, you have to figure out what’s going to appeal to your audience and what’s going to rate.” In the same interview, she carefully managed to distance herself from Glenn Beck (then her colleague at the network) without disavowing him entirely, and to condemn birtherism without condemning birthers (“I don’t want to judge anybody.”) The flexibility is the key to Kelly’s worldview. “I’m a soulless lawyer,” Kelly told The Daily Beast. 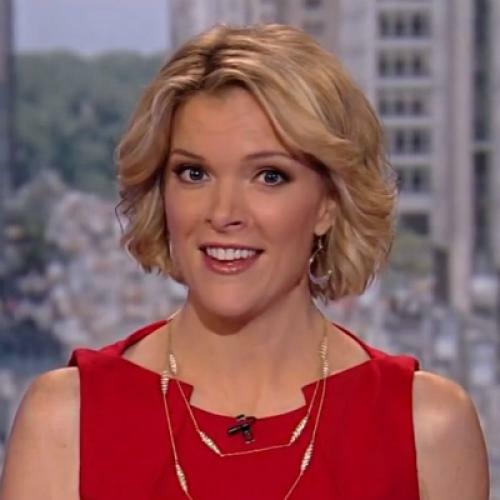 “Give me any opinion and I can argue it.” Megyn Kelly is interested in preserving the Fox brand over the GOP brand, yes, but she is, most of all, interested in preserving the Megyn Kelly brand. It’s the difference between Kelly and, say, fellow Fox blonde Gretchen Carlson or even Rove himself. She controls the spin, the spin doesn’t control her.